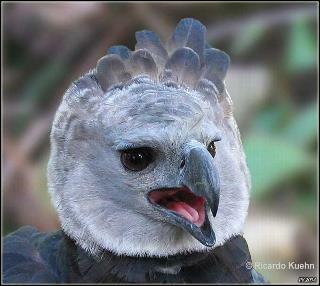 Eagle that looks funny and cute is often referred to as the most powerful eagles in the world. His body can weigh 9 kg, body length 105 cm, and wing span of 2 meters. Claws longer than bear claws and has a strong grip, so he can break a man's arm or even pierce the skull. 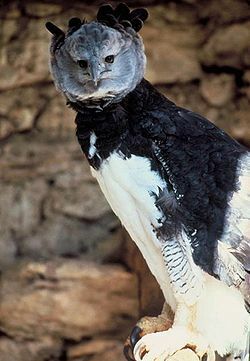 Harpy eagles are found in several areas of southern Mexico, Central America and South America. 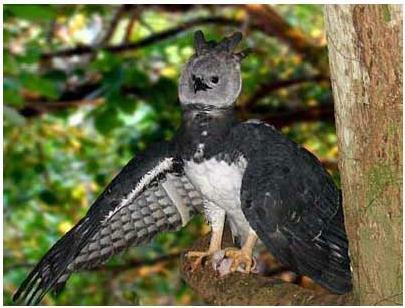 Harpy Eagle is the main prey monkeys, sloths, birds such as macaws birds, iguanas and sometimes boa. Harpie spending time at altitude. He was hunting a way to fly around the top of the tree or from tree to tree. 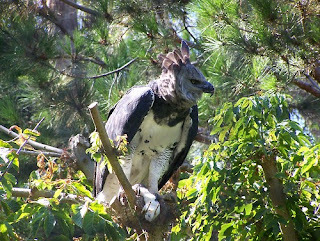 Monkeys and sloth that developed in the tropical forests is the main victim of this eagle. 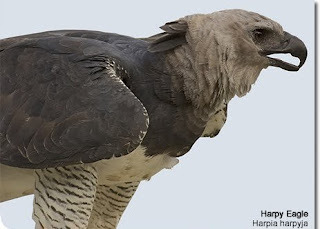 However, sometimes harpie also attack other large birds, such as the fig parrot. In the nest harpie, the scientists also discovered the remains of aglouti (large rodents) and other mammals that live in soil. This indicates that the occasional harpie also fell to the ground. When flying, harpie speed can reach 80 km / hour. Like the Philippine Eagle, Harpy Eagle also hunt in the forest cover and included in endangered species, so that most Mexicans consider Harpy eagle like birds in the legend.